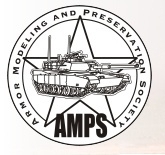 The following links are to other web sites that are useful for modelers or enthusiasts of armored cars or wheeled fighting vehicles. ANZAC Steel - A reference site for military vehicles of Australia, New Zealand and the British Commonwealth. BAX Mod (South Africa) - Model Kit Company specializing in Modern South African Wheeled Fighting Vehicles. On the Way! - A website for 1/72 scale modellers. Vietnam Gun Truck "Psychotic Reaction" Website U.S. Marine Corps.